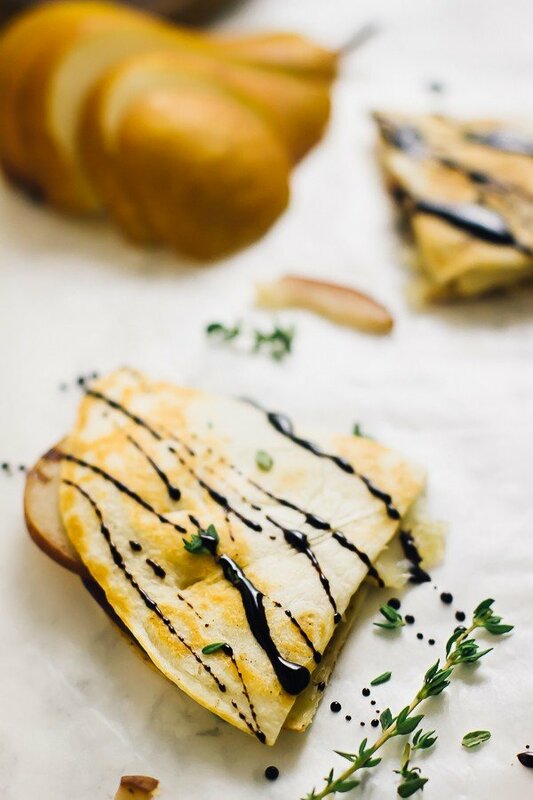 These Pear Brie & Caramelised Onions Quesadillas are drizzled with a balsamic glaze that make it the ultimate fall quick meal! Pear Brie & Caramelised Onions Quesadillas. Any quesadilla haters in the house? I thought not. Quesadillas are that dish that translates across pretty much any cuisine, and for good reason: anything and everything tastes amazing between crispy tortillas. You know I’m an advocate for quick and easy meals, and with just 9 minutes of prep time, these quesadillas couldn’t be any easier. By the way, you can’t leave out that glaze: it’s the secret bomb ingredient. If you didn’t know, the Mr. is a super cook. Like, for a long time in our relationship, he did MOST of the cooking. He’s also the king of sauces. Actually, a recipe coming up next month was made by him and I got the pleasure of eating it all up (is this how it feels?! Yum.). 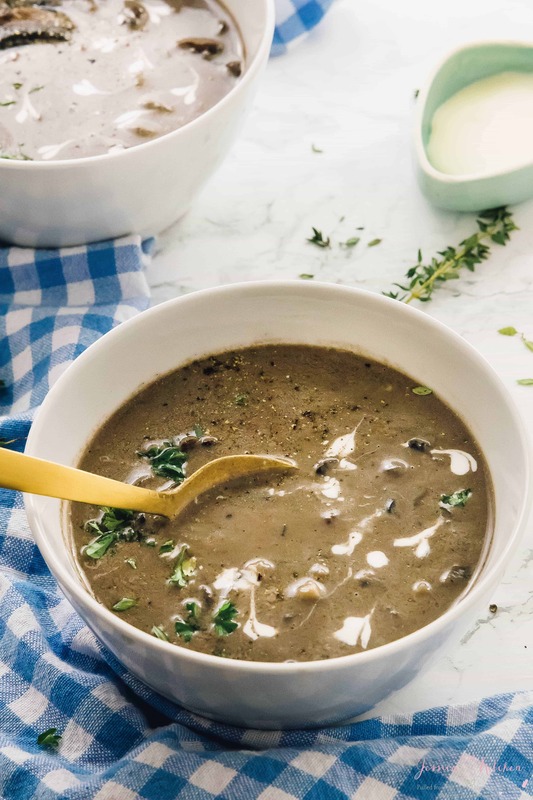 Between making 13-18 new recipes each month, numerous videos and several batches of recipe testing, we all need that extra handy chef in the kitchen. Well, I say all of this because it was his decision to pair these with a balsamic glaze. Good grief, was that an amazing idea. Are you going to help me to convince him to start his own blog?! Please. 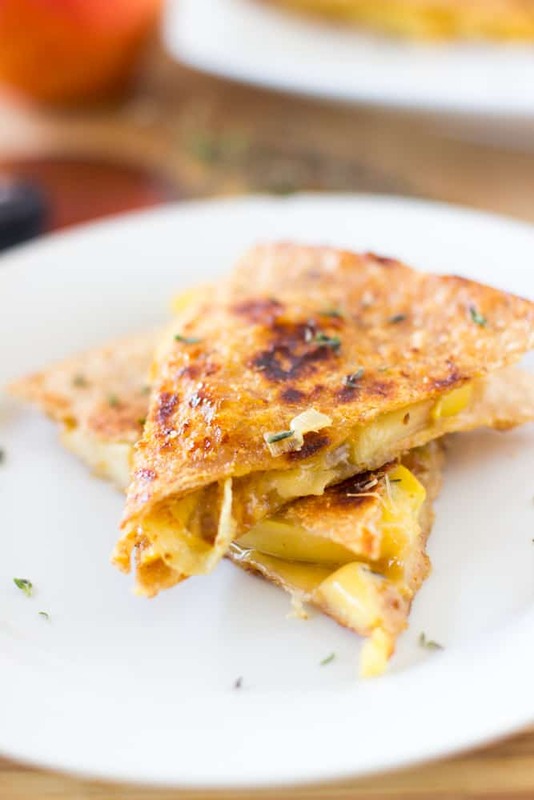 These pear and brie quesadillas are beautifully crispy on the outside and super soft on the inside thanks to the pears, brie and caramelised onions. All these flavours go perfectly together, and the thyme brings it all out even more. But the balsamic glaze is the key, key ingredient here. The intense sweet tanginess of it brings out every flavour and is pretty much the cherry on top. Please don’t to leave it out!! It’s crazy easy to make once you make it low and slow, and so worth it. PRO TIP: I put the extra on uh, pretty much everything. 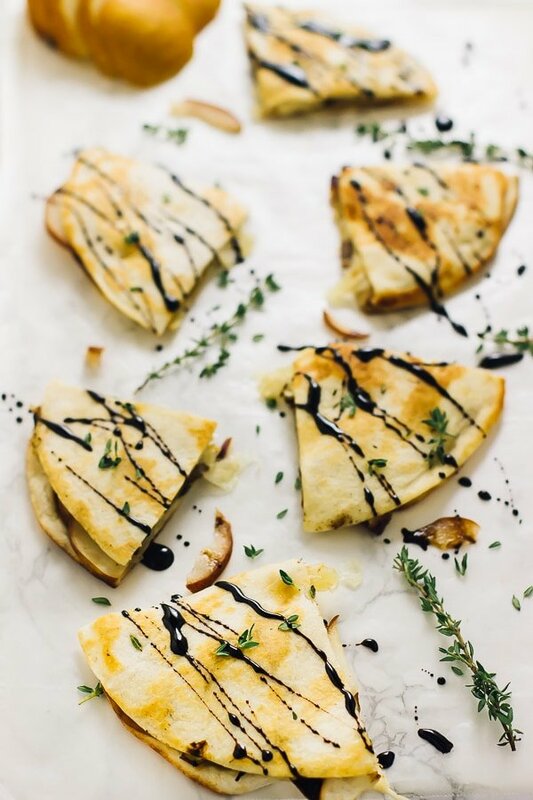 If you try these Pear Brie & Caramelised Onions Quesadillas with Balsamic Glaze please let me know in the comment section below, or tag me on instagram with the hashtag #jessicainthekitchen! For more exclusive recipes follow me on Instagram AND on Snapchat: jessinkitchen. While the onions are caramelising, In a pot over medium high heat, heat all the ingredients for the glaze and stir. Watch carefully - the glaze should begin to thicken after 5 minutes and you want it thick enough to stick to the back of a spoon, but not to thicken into a glob. It becomes very thick very quickly so watch carefully. When hot, add the onion slices in (the onions should sizzle), and reduce heat to medium so you don't burn the onions. Swirl the onions around to ensure it's all covered, and allow to caramelise for 15 minutes, stirring once every 5 minutes. The onions should be soft enough to cut through with the spatula, and will be very tender. If the oil in the pan dries up, add water 2 tablespoons at a time to help finish cooking the onions. 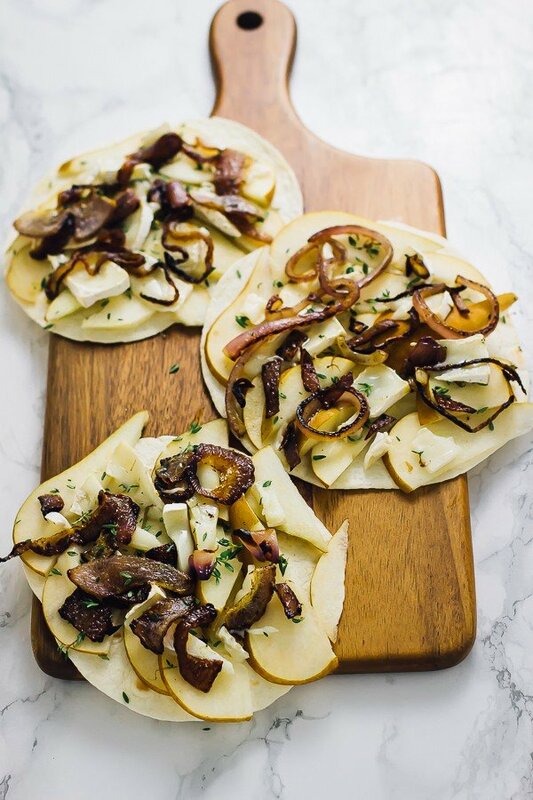 On tortillas or wraps, place the apple slices, then the thyme then the cheese, then the caramelised onions on top. Place the second tortilla or wrap on top. In a pan over medium high heat, or on a mini grill, place the tortilla. Heat through on one side for 3 minutes, then flip, and heat through on the other side for another 3 minutes. Alternatively, you can split the ingredients equally through both tortillas or wraps and then fold them over individually (so you would have two different ones instead of one combined one). This can be easier then flipping the large quesadilla and produces the same result. When both sides are crisp and cheese is melted, slice with a pizza cutter. Drizzle with balsamic glaze. !TO MAKE VEGAN Leave out the cheese or use a vegan cheese. Please Note: I’m aware that there is a much more decadent and longer way of caramelising onions, but this method will produce a very similar result in a much quicker time that allows you to be finished in 30 minutes! I can’t wait to make this!! They look delicious and I love the combo of flavour, Jessica. Mmm it’s like these quesadillas were made for me! 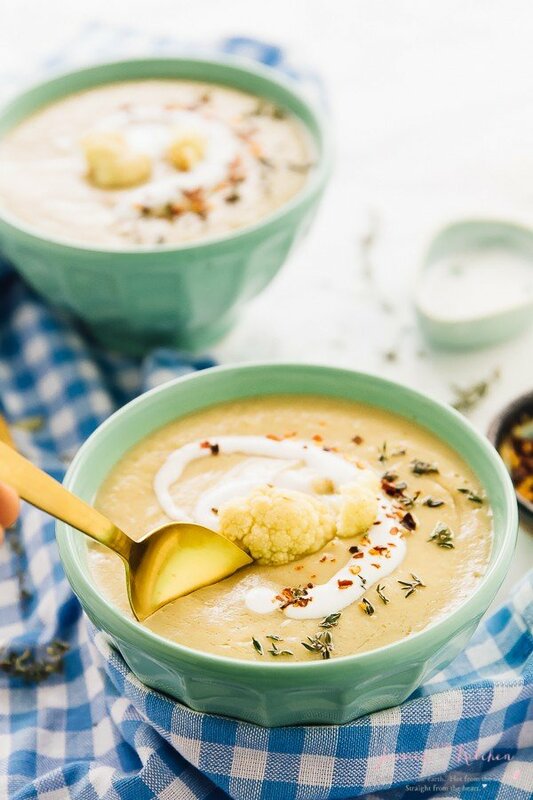 I would’ve never thought to make them with pears and brie, so I’m LOVING this! Especially those onions…yum! Oh yum! Quesadillas are a staple in my house. So easy to repurpose leftovers! 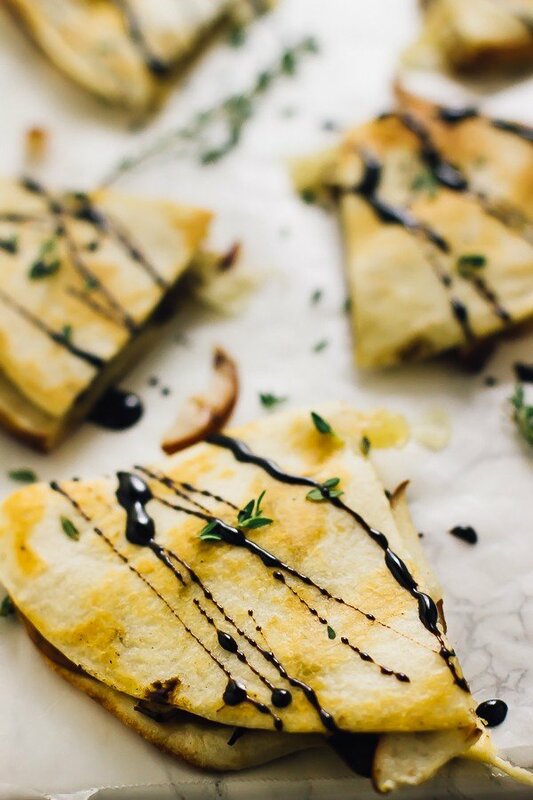 I love the idea of these…that balsamic glaze looks like the perfect special touch! 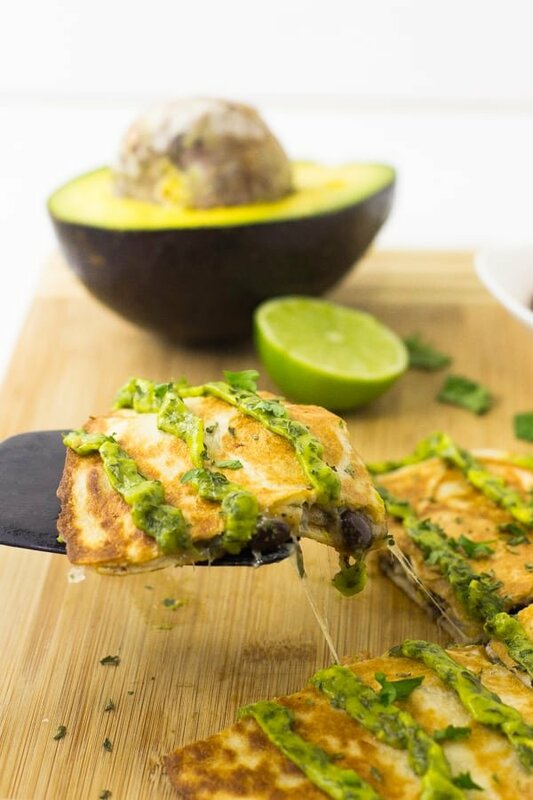 Quesadillas are definitely a favorite around here and these would be gone in no time at our house! Love this flavor combo and how easy these come together! They’re gorgeous! These flavors are some of my very favorite, and I wish I had these delicious quesadillas for dinner! 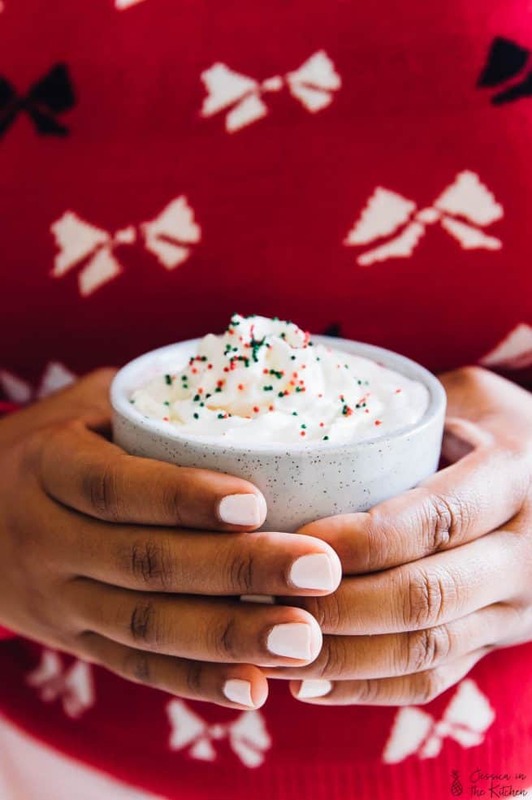 Yum, these look amazing! I bet they smell pretty awesome too! Such a unique flavorful recipe using those onions too. Going to pin to make later.. my husband loves onions so he’s going to love these! Step four of making the “q”,you refer to Apple slices. I take it you mean pear slices, right? Yes! Thanks for pointing that out and I hope you enjoy! !